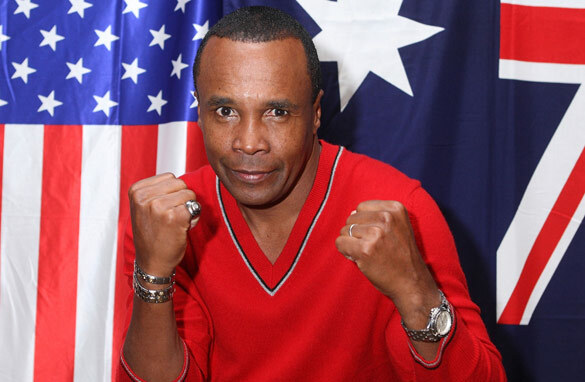 Flashy and fast-fisted, Sugar Ray Leonard is widely regarded as the greatest boxer of all time. The retired American champion has an unprecedented five world titles in five weight classes to his name and has been part of some of the most memorable fights in history. Leonard was a dominant force on the amateur boxing circuit in the 1970's, winning 145 of his 150 bouts before announcing his retirement after winning an Olympic gold medal at the 1976 Games in Montreal. The then 20-year-old fighter had planned to go to university but instead turned professional to help support his family after his father became ill.
Leonard won his first professional fight in 1977 and over the next two decades, went on to defeat some of the biggest names in boxing – Wilfred Benetiz, Roberto Duran, Thomas Hearns and Marvin Hagler. To the world, he was a golden-fisted champion, but in his first autobiography released this week, Leonard has revealed details of personal battles beyond the ring. In the book, The Big Fight: My Life In and Out of the Ring, the now 55-year-old sporting icon writes about his drug and alcohol use and most shockingly about the sexual abuse he suffered at the hands of a former Olympic trainer. Hello leonard,can you fight me? Thats the irony of life. a most illustrious career was blighted by the twin evil of drug and sexual perversion.sugar ray leonard remains the most iconic boxer in the ring probably next to Ali. plse my question to sugar ray leonard is this-does these revelations amount to confession borne out of genuine repentance or just a commercial gimmick to shore up your dwindling cash reserve. I am from Nigeria. –	How will you Improve the fight against drug and alcohol use? –	How will you Improve the fight against sexual abuse. Especially in the Catholic Churches? I am awaiting Sugar Ray Leonard’s replies. Ray Leonard is widely regarded as a superb boxer, but he is not widely regarded as the greatest boxer of all time. That honor goes to Sugar Ray Robinson, and Leonard would probably agree. There are others who are put ahead of Leonard, for example Henry Armstrong who held three world championships simultaneously – featherweight, lightweight, and welterweight – and drew in a bid for the middleweight title in a fight most observers believe he won (these are the original natural weight classes). Moreover, he defended his welterweight title more than a dozen times.